Washington State QB Tyler Hilinski’s family opened up to Sports Illustrated’s Greg Bishop about their son’s death by suicide and how they’ve been coping since. Hilinski was found dead of an apparently self-inflicted gunshot wound in January, and according to an autopsy of Hilinski’s brain performed by the Mayo Clinic, the 21-year-old already showed signs of Stage 1 CTE. According to a Whitman County autopsy, Hilinski had no drugs or alcohol in his system at the time of his death. He also apparently had never fired a gun before going shooting with some teammates the day before he died, and he used a teammate’s rifle to take his life. 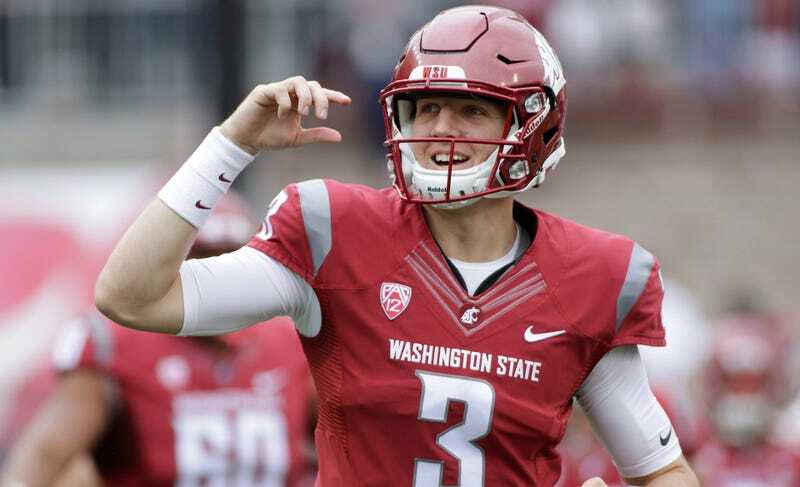 Hilinski’s family, who recently started the Hilinski’s Hope foundation to help athletes struggling with mental illness, say there were no obvious signs that anything was going on with Hilinski, though he had been less responsive to calls and texts.